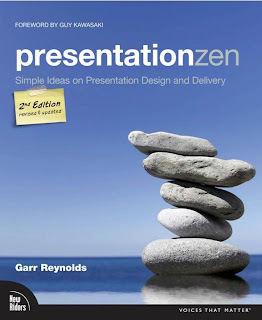 Garr Reynolds's Presentation Zen will help seasoned presentation veterans who look for inspiration to break from their routine delivery modus operandi, and it will be invaluable to newcomers who seek a step-by-step process for creating brilliant visuals and timeless lectures. Highly educated scientists, engineers, doctors, and systems analysts often struggle with keeping their ideas simple. This shortcoming is understandable because subject-matter experts in these professions tend to be process-oriented rather than results-oriented. In effect, their science inundates the audience with information overload. Reynolds suggests many techniques to reinvent such presentations with a more audience-focused, memorable approach. For the theorist, he thoughtfully summarizes his rationale for recasting presentations; for the technician, he vividly illustrates practical tips. I have used this book in my presentation skills teaching with good results. Most of my students, who are educated, experienced, and sophisticated managers and analysts, appreciate the focus, simplicity, and relevance of Presentation Zen. 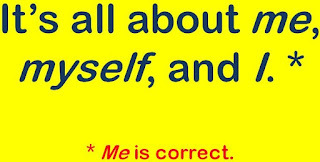 Is It "Me," "Myself," or "I"? The contract was signed by Lee, Sam, and me. The contract was signed by Lee, Sam, and myself. The contract was signed by Lee, Sam, and I. The contract was signed by me. The contract was signed by myself. The contract was signed by I. For sure, me sounds best, so the correct answer is The contract was signed by Lee, Sam, and me. Let’s try another sentence: Lee, Sam and I signed the contract. In this case, I signed the contract sounds better than Me signed the contract or Myself signed the contract. Therefore, Lee, Sam, and I signed the contract is correct. I use the expressions training sessions, training modules, training classes, and training courses—not trainings—because, as far as I can remember, training has been an uncountable noun, like work, information, music, or air. I would tell my staff to avoid using trainings in formal contexts, such as in our training catalogue and company-wide training announcements. But trainings has become a term of art in much of the business world, so it’s acceptable to many people, especially in informal emails. If it does not appear as acceptable usage in standard dictionaries today, it probably will in the future. Today marks the eighth anniversary of WORDS ON THE LINE. I began this blog on January 4, 2005, to provide my clients with best practices and resources for writers in any job. Since that day, I have had the pleasure of consulting to auditors from the Ace Group in Philadelphia, telecommunication specialists from Alcatel-Lucent in Arizona, pharmaceutical researchers from Bristol-Myers Squibb in New Jersey, investment analysts from Citigroup in San Francisco, scientists from Cold Spring Harbor Laboratory in New York, accountants from Ernst & Young in Dallas, insurance adjusters from Selective Insurance in North Carolina, aircraft engineers from the US Air Force in Ohio, information technology engineers at Microsoft in Hyderabad, India, and MBA students at Peking University in China, among many other professionals across a broad spectrum of disciplines and organizations. My goal is to keep readers informed, encouraged, and even inspired as they deal with the daily challenges of communicating purposefully, clearly, and concisely to all levels internally and externally under tight time constraints. Here's to your writing!